Patrick van der Pijl is the founder and CEO of Business Models Inc, a global design company on strategy and innovation. Patrick helps multinational corporations, governmental agencies, NGOs, and startups understand, design, prototype and scale new business models for exponential growth and impact. Patrick is the coauthor of Design a Better Business: New Mindset, Skills and Tools for Innovation and Strategy. 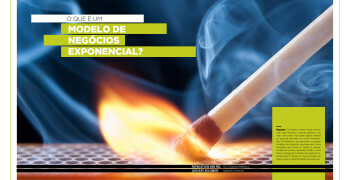 Modelos de Negócios Exponenciais são necessários agora mais do que nunca. Levar seu modelo de negócios de 10% para 10X não é simplesmente um dimensionamento. Muitas vezes exige uma maneira completamente nova de olhar para o seu negócio e o mercado que ele serve. Autores: Patrick van der Pijl, Lisa Kay Solomon.